From trade shows to sporting arena and grand openings, you can make your event memorable by shooting gun T-shirts and stress balls printed with your business name or logo. These elements are great for grabbing the eyes of everyone in these kinds of events. With the variable range up to 10 to 300 feet, not only is there the enjoyment of the delivery but also the physical reminder of your business or sports team. In below we provided some of t-shirt launcher names and their features. 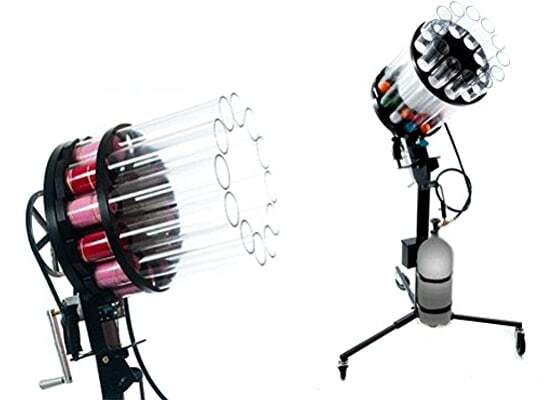 Hope it will help you to find the right t shirt launcher for you. 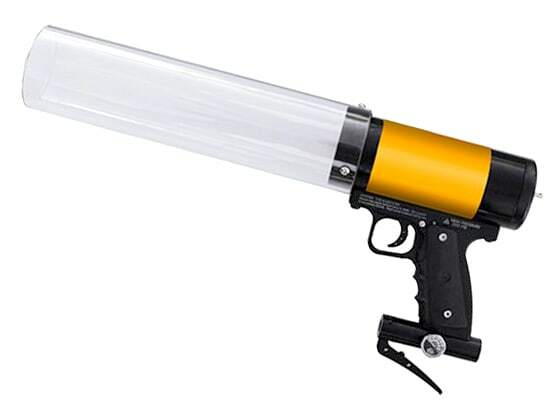 The 8 Ball Launcher is the only cannon in the market that shoots multiple items with so little effort. At just under 10lbs, it shoots to the top deck of arenas and stadiums. Top loading clear Lexan barrel. Has a pump-action loading chamber. Also has a pneumatic trigger. The Micro-Mini™ is under 4lbs and is perfect for short-range action, portability and easy reload. Offering One-Button Operation, no external hoses or riggings, and distances up to 150ft. The Micro-Mini™ is a favorite among radio remotes, cheering squads, pep rallies, mascots, trade shows, conventions, & small concert venues. 20oz CO2 tank, manual, and 2 vinyl logos at no additional charge. 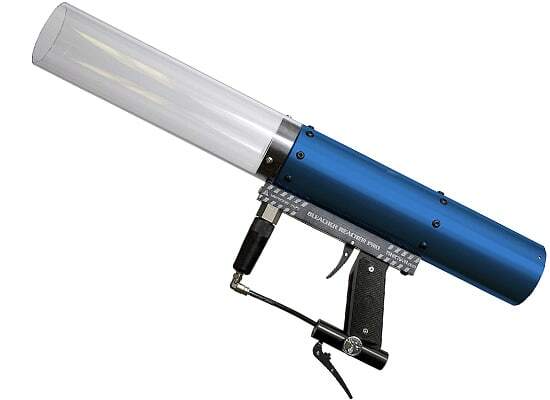 The Bleacher-Reacher Pro is our best-selling hand-held t shirt launcher . At just under 7lbs, it shoots to the top deck of most arenas and stadiums. Large bazooka style lexan barrel. It can also be customized to accommodate launching larger promotional items. O-Rings, 20oz CO2 tank, manual, and 2 vinyl logos at no additional charge. 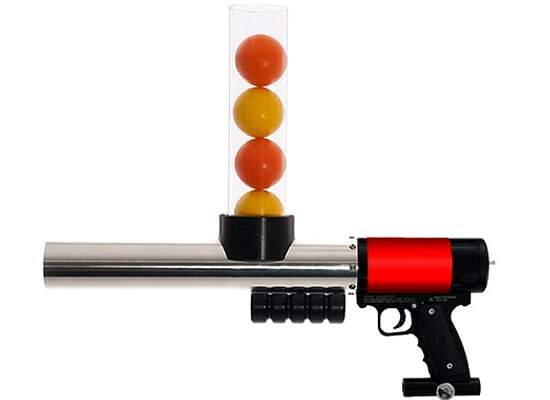 The Stress Ball Gatling Gun is one of two new Gatling gun models from tshirtgun.com. It is self-loading and capable of shooting 8 shots per second with a range of up to 300+ feet. Has a mobile cart, wheels (choice of two options – inside non-skid urethane or outdoor turf wheels), & tool kit.